CHRISTIANSTED — Gov. 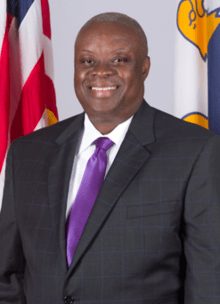 Kenneth Mapp said he wished “all of the fathers and grandfathers of the Virgin Islands a Happy Father’s Day” on Sunday. Mapp encouraged all Virgin Islanders to take some time on Sunday to meditate on the value of building a strong family, share family stories and reflect on memories of our fathers that are no longer with us.